Pine Cone laden branches accent this handsome American Craftsman one light wall sconce. The Pine Cone Single Sconce is finished in Craftsman Brown and has Iridized Beige art glass panels..
Pine Cone laden branches accent this handsome American Craftsman one light wall sconce. 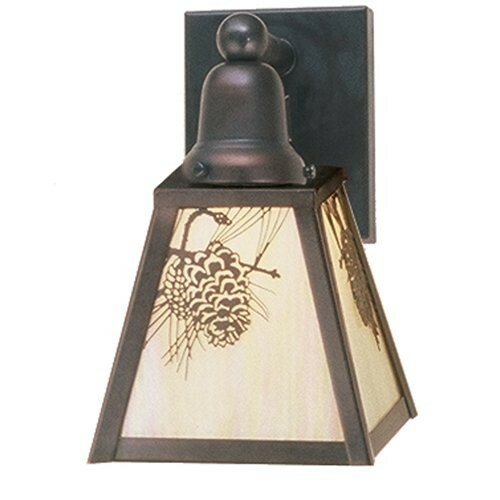 The Pine Cone Single Sconce is finished in Craftsman Brown and has Iridized Beige art glass panels.